Hotel Pasitea above Positano's Spiaggia Grande. 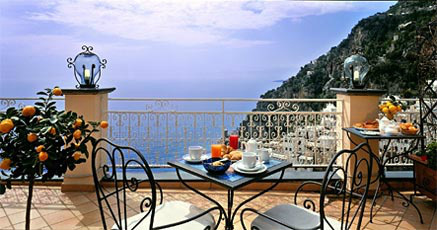 Stylish breakfast setting, lemons, typical tiles, wrought iron elements, and a view of the white vertical town of Positano. 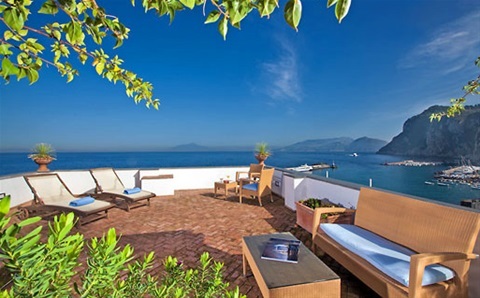 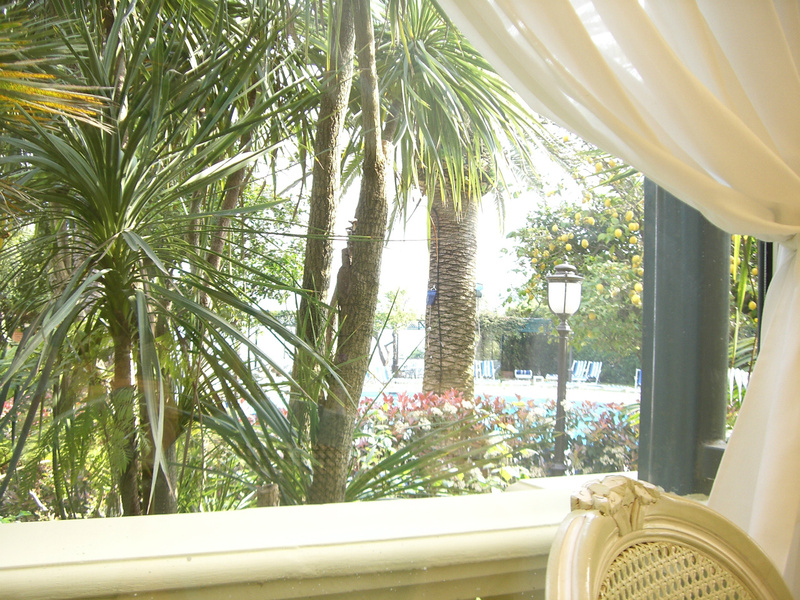 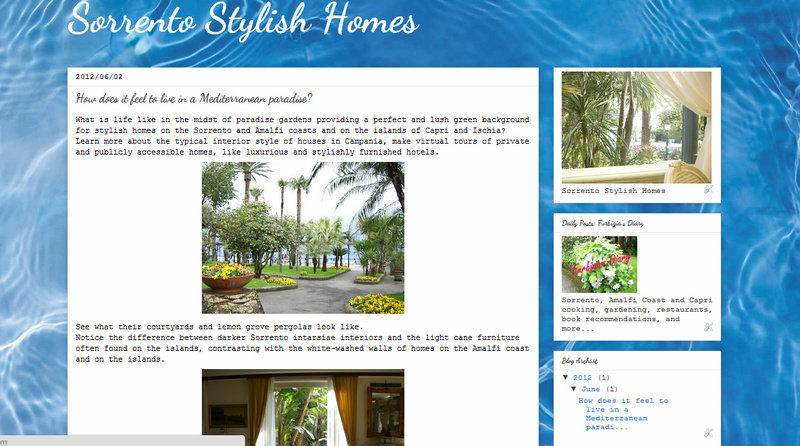 Furbizias Website "Sorrento Stylish Homes"